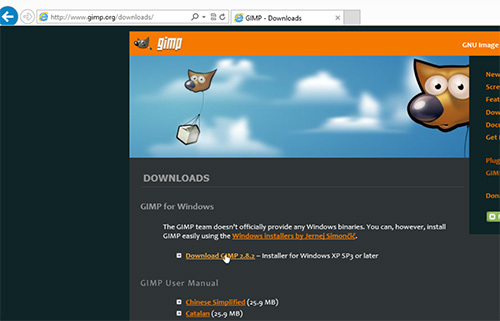 In this video tutorial we will show you how to download gimp for PC. 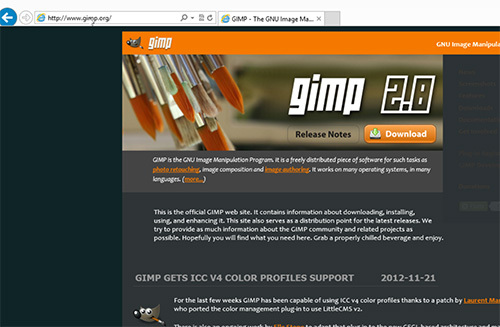 In order to download gimp for pc you have to launch the Internet Explorer and go to gimp.org. 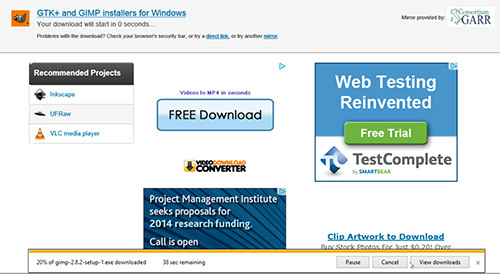 In the following window go to the “Downloads” section. Then press “Download GIMP (latest version)”. Save the program on the hard disk of your PC. Click the “Run” button and start the installation process. On the question: “Do you want to allow the following program to make changes to this computer?” click “Yes”. 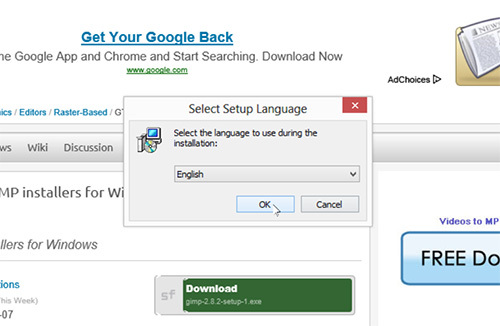 In the following window choose installation language from drop-down menu and press “ОК”. Then press “Install”. After completing the installation process click “Finish”. GIMP Editor has been successfully installed on your computer. Go to the Windows Start menu and launch the program.